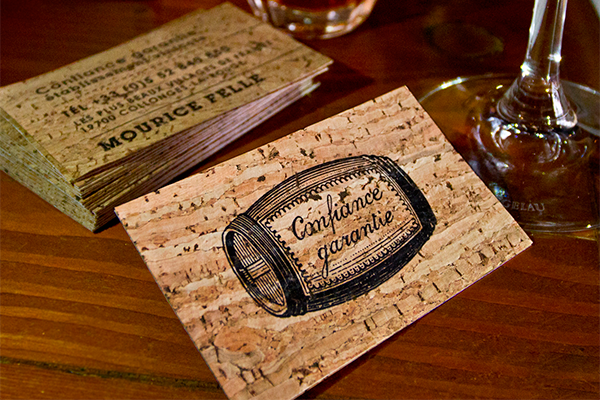 Cheers to Cork Business Cards! 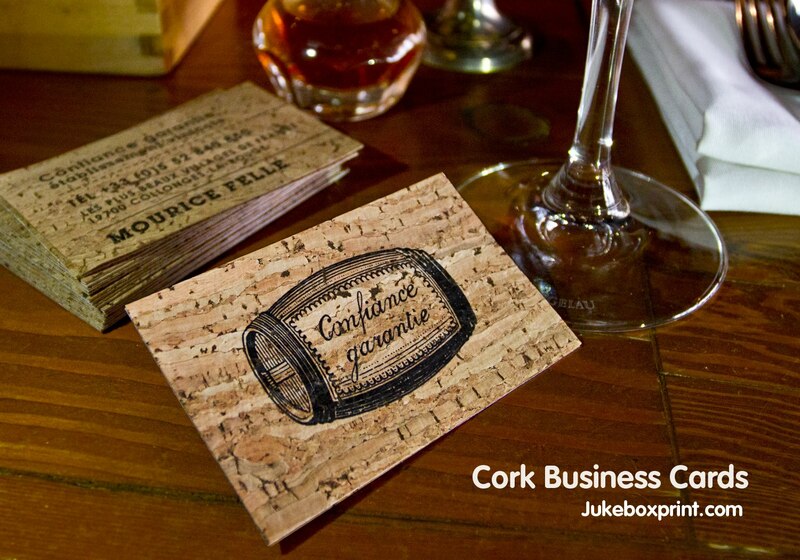 Exclusive to Jukebox, our 100% genuine Cork Business Cards offer a truly unique look and feel for your brand. 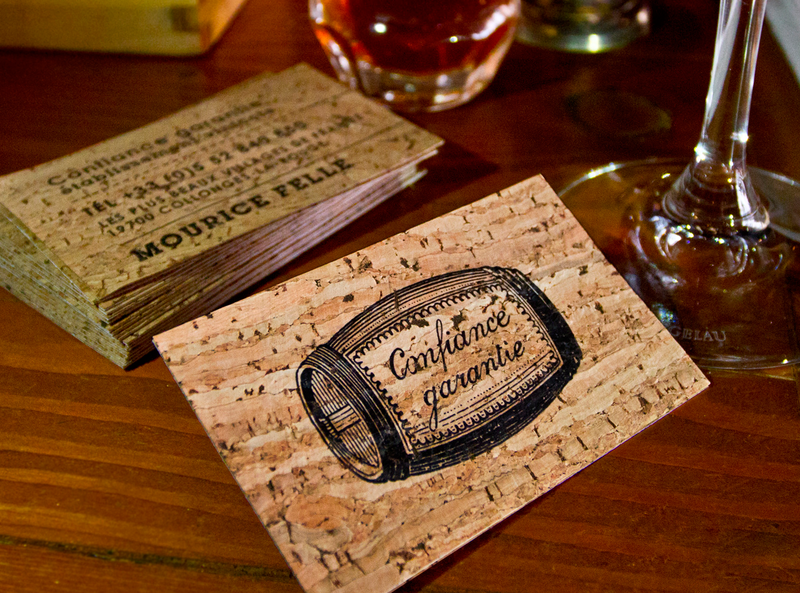 Perfect for vineyards, wineries, bars and restaurants, this one-of-a-kind business card will really make an impression! 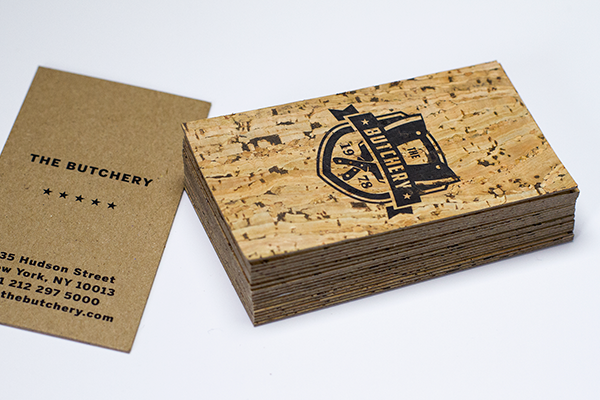 Choose a Duplex Cork card for a unique all-cork lightweight business card, or pair with a different card stock of your choice. With our full range of stocks to choose from, find the perfect match for your Duplex Cork Business Cards today. Print your invitations on our exclusive Cork stock for the most special of occasions. Pair Cork with one of our unique stocks such as Wood; bold designs look beautiful printed on this unique combination! Available in standard and custom sizes to match the rest of your invitation suite. Print your invitations on our exclusive Cork stock for the most special of occasions. We can accept one-colour and two-colour print jobs for this process. The lighter impression used by the Letterpress output gives an offset-like finish at top quality. An example of a comparison (shown on the Cotton stock) is available here: Cotton stock with offset inks. Only vector-based designs are suitable for this output. This output is available via a Print Quote. We offer Letterpress output with offset inks. This output and ink provides a much more solid colour coverage on the Cork stock. Can I see a sample of the Cork? Samples of the Cork are available by ordering a Specialty Sample Pack. Made from real cork these are true one-of-a-kind cards. Bold designs look beautiful printed on our one-of-a-kind Cork cards. This is a Jukebox exclusive product made from authentic cork. What backings are available for Cork cards? As the Cork cards have a backing, the resistance to water will be dependent on this. They can be used for drink coasters (in a large circular shape). They are water resistant, but not waterproof. Who are the Cork business cards suitable for? Are you able to produce Cork cards in a custom shape or size? 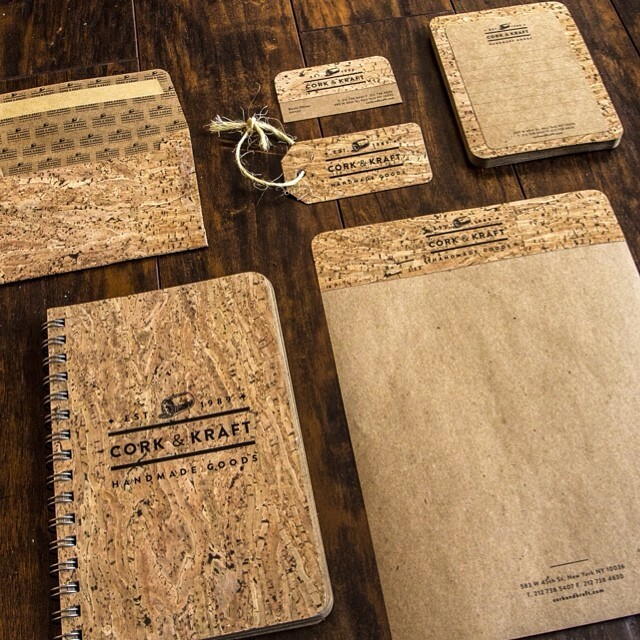 Cork is also suitable for embossing and other specialty finishes. Submit a Print Quote for your custom job. Yes! We can produce almost any shape card or specialty flyer; and of course coasters! The Cork cards are perfect for die-cutting. Not all designs are suitable for this stock. Below are some considerations you should take when designing for Cork. Cork is made from 100% cork. Have a close look at the samples shown on our website - you will see that it has natural Black specks, flecks and grains throughout its surface. These appear in a random areas and offer a slight texture. These black specs will interfere with your design, especially with any fine detail and text. Contact details and text should be kept to a minimum and be very large and bold to be readable and clear. Due to the slight texture of this stock, it cannot hold fine detail as well. The finest detail we recommend is 0.75pt line-weight; however, please note that lines that are not solid (such as dotted lines) should be made thicker. For natural Cork, this stock is surprisingly smooth – however there is texture to it. This texture can effect how parts of fine detail appear on the stock. We recommend a safety margin of 0.25 inches away from the trim line for this product. Due to the nature of the stock it can shift significantly during printing and trimming processes.